Good money habits do not come naturally to most people. However, learning how to manage money correctly is one of the most important lessons that you can teach your teen. 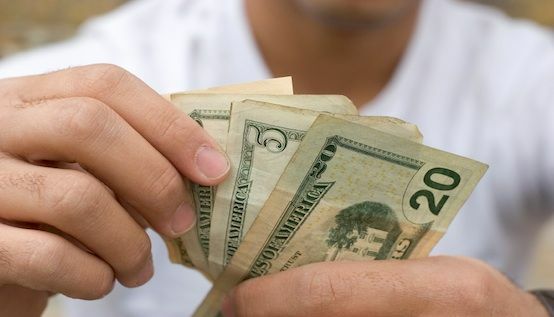 You can help your teen save money by providing opportunities that allow them to see how money management really works. Perhaps your teen can take over grocery shopping for the family or help you pay your monthly bills. In today’s world, purchasing is as easy as swiping a credit card, and many financial transactions take place online. These conveniences are great, but you need to make an extra effort to let your teen see how real-life money management is accomplished. One of the best values you can instill in your teen is a strong work ethic. Instead of purchasing all of the clothes, electronics and other things that your teen wants, encourage them to work for these items. Your teen does not have to work in a structured part-time job to earn money. There are plenty of opportunities for basic entrepreneurship, such as babysitting, washing cars or performing lawn maintenance. In addition, your teen can make money for things that they want by selling items that they are no longer using. You can sell xbox 360 games among others for cash, store credit or other games. Many students leave high school without knowledge of how many financial processes actually work. Does your teen know the power of compound interest? Can they balance a checkbook? Do they understand what the terms and conditions on a credit card application actually mean? Adding incentives can encourage your teen to make wise financial decisions. For instance, offer a matching bonus to reward your teen for saving. Let them know that you will match each deposit that they make in a savings account up to $100 for the summer. Having an incentive for saving money can motivate your teen and reward smart choices. It is important to reward smart financial decisions, but it is also important to let your teen figure out the consequences of unwise decisions. It’s not easy to see your teen in trouble, so you might be tempted to bail them out each time they make a financial mistake. However, it is better for your teen to figure out how to deal with small mistakes now instead of large, costly mistakes later. When you teach your teen how to handle finances, you are setting them up for success in the future. Imparting wisdom about finances is not always easy, but it is important and worthwhile.